Today I decided to go against my strong feeling to by a small motorbike, and I bought a small truck instead. It is awesome. Fun to drive. Ugly. Sporty? 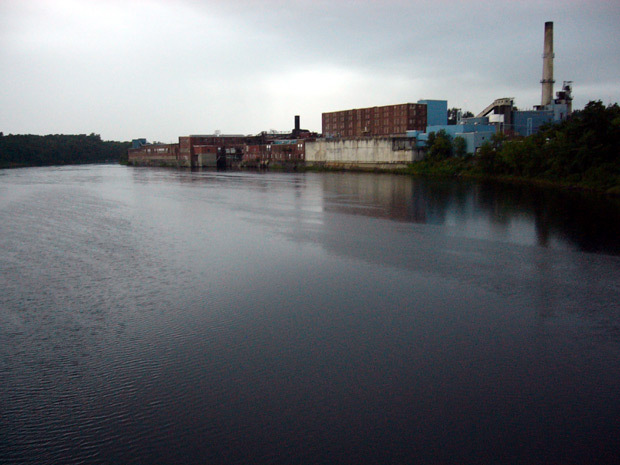 My first drive was up Interstate 95 to Waterville to look at a Kennebec dinosaur (an old factory along the Kennebec River). Today is also the first day of my 5-day Labor Day vacation. I asked if I could work any of the days I was scheduled off, but the KJ doesn't like to give over-time hours unless it's necessary. This will be my first Labor Day as part of a union, Communication Workers of America, District 1, Local 643. It's kind of like my first Veterans' Day as a veteran, My first Valentine's Day as a valentine, my first Canadian Boxing Day as a Canadian boxer.